OPEN: 10:00 am to 20:00 pm Sunday to Thursday. 10:00 am to 22:00 pm Friday & Saturday. 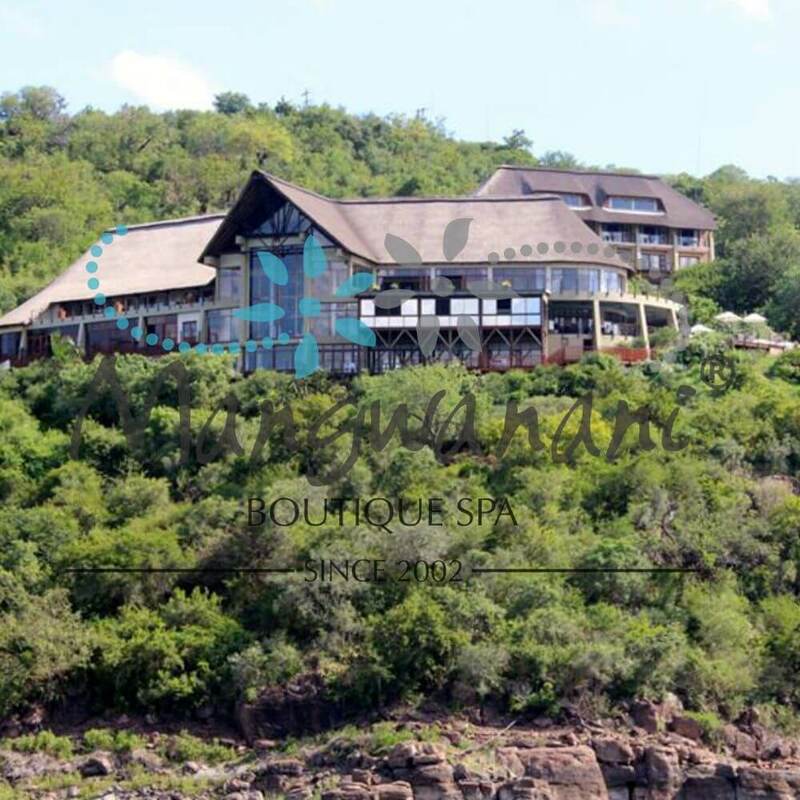 Offers full day, half day and night spa experiences, and individual treatments. Steam room available. 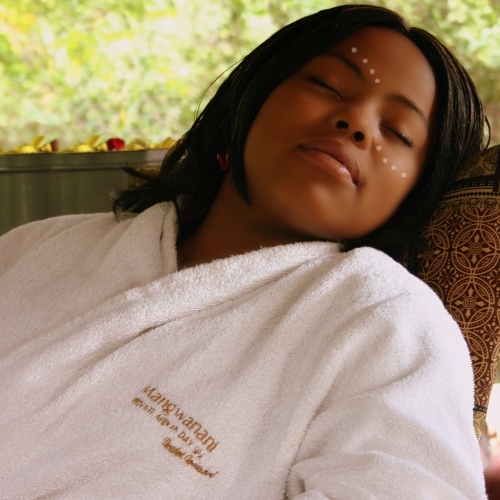 Treatments can be done in the spa, in hotel rooms and at poolside. 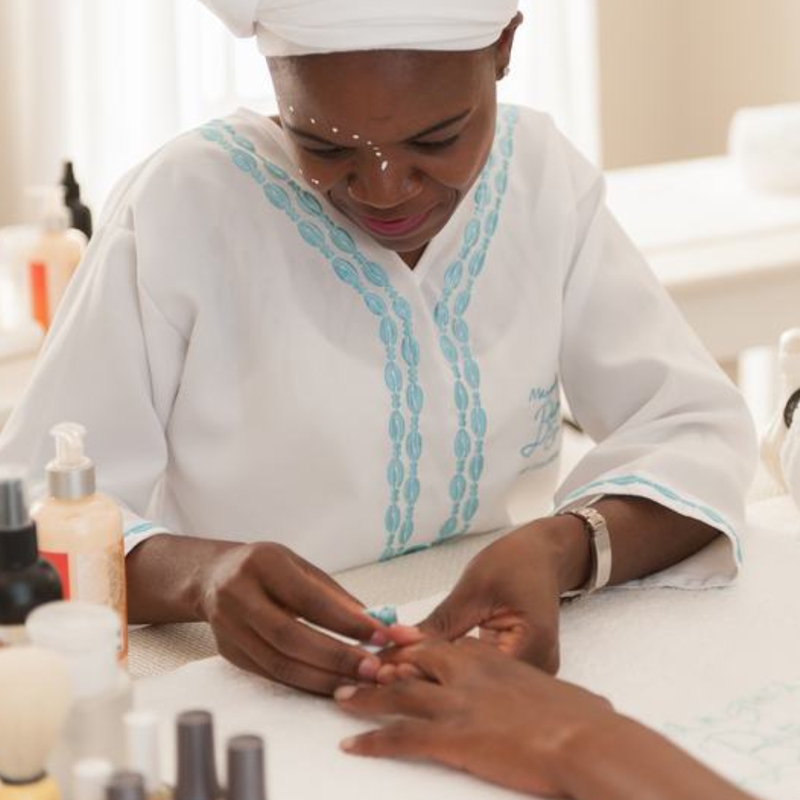 Restore your mind and body with two relaxing treatments; a 30 minute Traditional North African Head, Neck & Shoulder Massage and a 30 minute Royal African Foot Massage with Cleansing Ritual and Exfoliation. These two treatments are complemented by a delicious slice of cake and tea. Ubuso – An essential facial with exfoliation, relaxing massage, face-mask, toner, and moisturiser; leaving you feeling renewed and refreshed. 45 minute treatment. 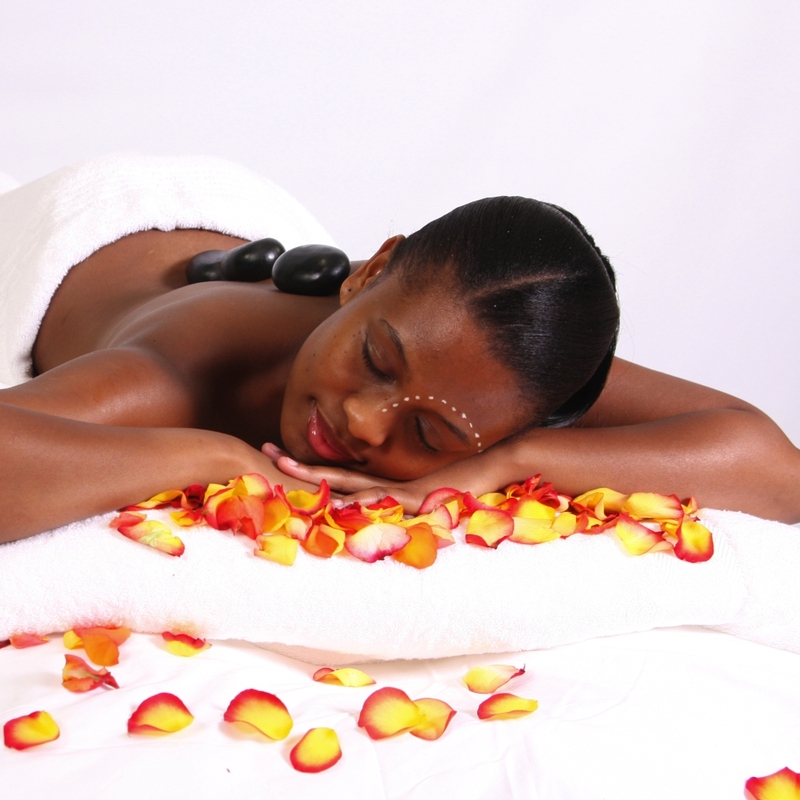 Neo Maoto – Royal African foot massage with warm rose-petal water, followed by exfoliation. . 30 / 45 minute treatment. Choose between a Molala (North African head, neck, and shoulder massage) or a Neo Maoto (Royal African foot massage) to enjoy poolside. 20 minute treatment. 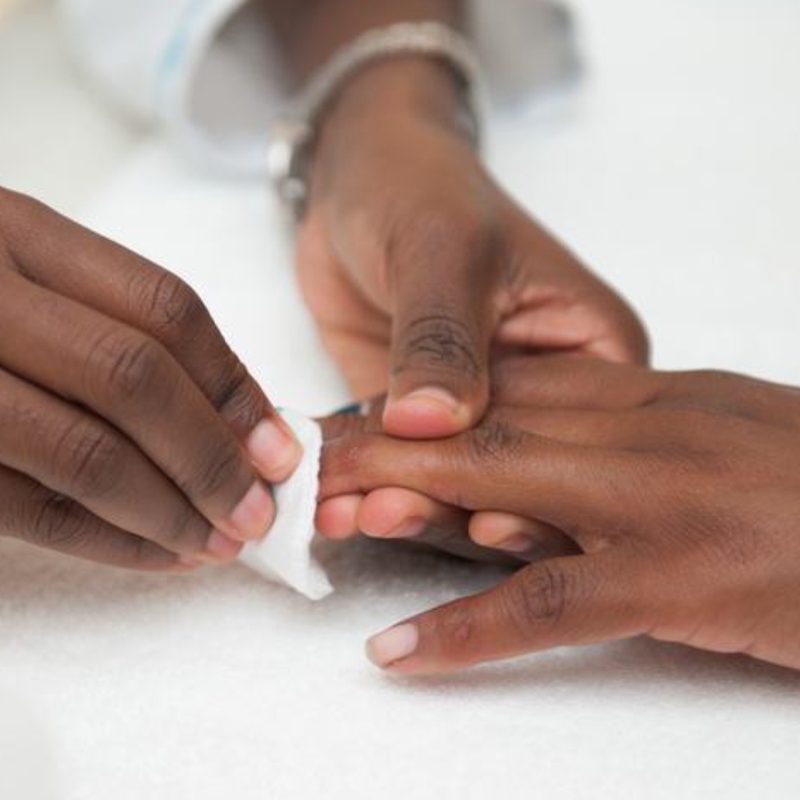 This treatment delivers 14 days of flawless wear, superior colour & mirror shine with zero-dry time and no nail damage. 45 / 60 minutes. R60.00 for a soak-off.